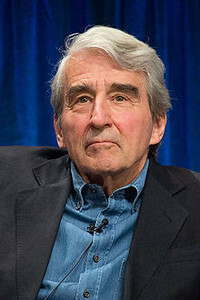 Some Connecticut voters got a ride to the polls with a special chauffeur - actor Sam Waterston of "Law & Order" TV fame. The Litchfield County resident drove some Waterbury residents to their polling places Tuesday. Democratic congressional candidate Jahana Hayes posted video on social media showing Waterston wearing a Hayes campaign T-shirt while talking with two women. One was a first-time voter who said she didn't know her driver was a famous actor until people started asking for his autograph at her local polling location. Hayes, a political newcomer and former national teacher of the year , is running against Republican former Meriden Mayor Manny Santos for the 5th District seat being vacated by Democratic Rep. Elizabeth Esty. Connecticut voters also are deciding races for governor, U.S. Senate and other seats. Posted in New Britain Herald, General News on Tuesday, 6 November 2018 17:00. Updated: Tuesday, 6 November 2018 20:15.